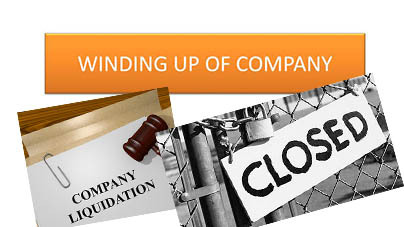 Winding up is also known as liquidation, this is where a company is unable to pay its debt and when this happens the company is insolvent. But winding up basically means that the under company laws, an insolvent company would then need to discharge its liabilities. And in order for them to do this the control of the company’s affairs would then be undertaken by a form of external administration. This person is known as a “liquidator” hence the term liquidation is used to define this particular term, the person would then prepare for the company’s dissolution. According to the Company Act 1965, Section 218(2) which states that a company shall be considered at insolvent if the creditor is owed more than RM500 by a company. And the sum is due for payment where a written notice will be served or given to secure or compound that particular sum to the satisfaction of the creditor. A company will be insolvent and cease all its businesses and go into liquidation after being wound up by the court. The company would then be struck off from the register of companies and the assets of the particular company would either be liquidated or sold off. After that the proceeds from the sales will be distributed according to the law.